If you’re still reading this because you needed a video to whet your DLC appetite, fear not; the official video for the Ubersreik launch can be found below. If the video tickles your fancy, consider reading a really wonderful in-depth developer blog here. The dev blog covers the thought process and technical side of remastering an old classic. Since there are so many remastered and enhanced versions of your favorite games in today’s market, that blog is definitely something worth reading. So, you watched the video and read the blog and you’re still here!? Go give that Vermintide 2 DLC a whack! And feel free to whack some of the disgusting evil minions and monsters while you’re at it - they deserve it. 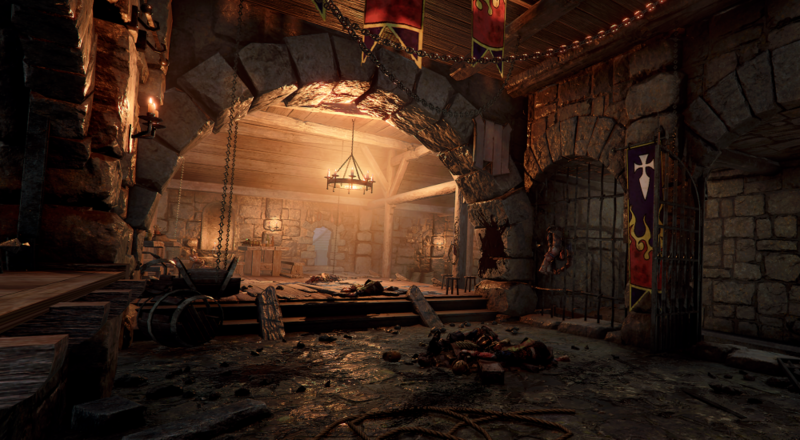 The Ubersreik DLC is out now for PC for $9.99, and will be coming to the Xbox One and PlayStation 4 tomorrow, December 18, the same day the game will be released on the PlayStation 4. Page created in 0.2833 seconds.